Geometric patterns are once again trending in interiors this season. 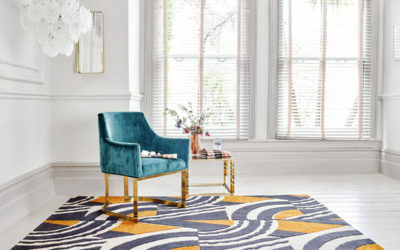 This trend is all about bringing patterns, colours and textures together to beautifully accentuate living spaces and add a modern vibe to home interiors. Our love of all things geometric continues with the launch of our new Infinite Scope collection. 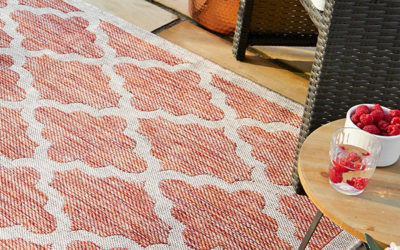 This rug is the perfect statement and can be beautifully complemented with neutral colours for a unique look. 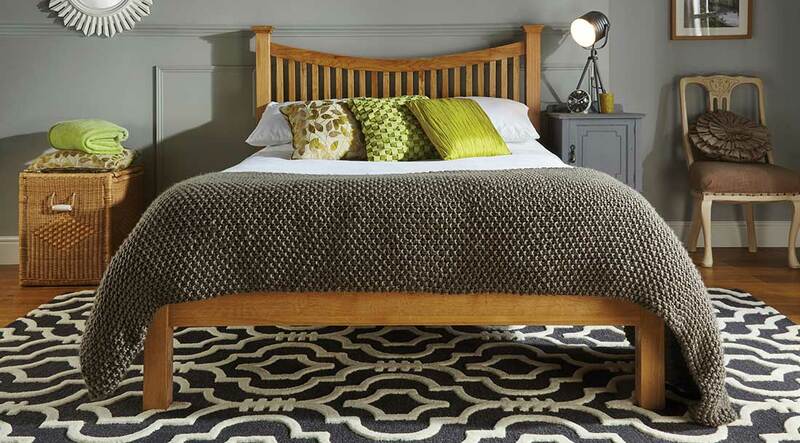 Intricate skilled handcarving of wool and viscose create a beautiful sheen in this striking geometric botanical designed rug. The combination of this season’s must have greys and duck egg blues will brighten any room and works perfectly in both modern and traditional settings. Think big with our abstract collection. Choosing the correct sized pattern for the size of the room is key to creating a look that works, and our Abstract collection adds pattern on a larger scale. 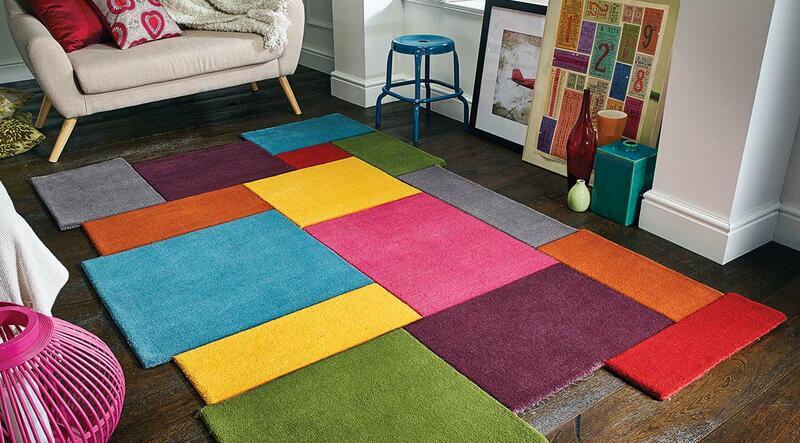 Whether you’re looking for bold multi-colours or monochrome, this collection will add a pop of visual interest. Interior design is all about understanding which elements in a room will play the dominant feature. 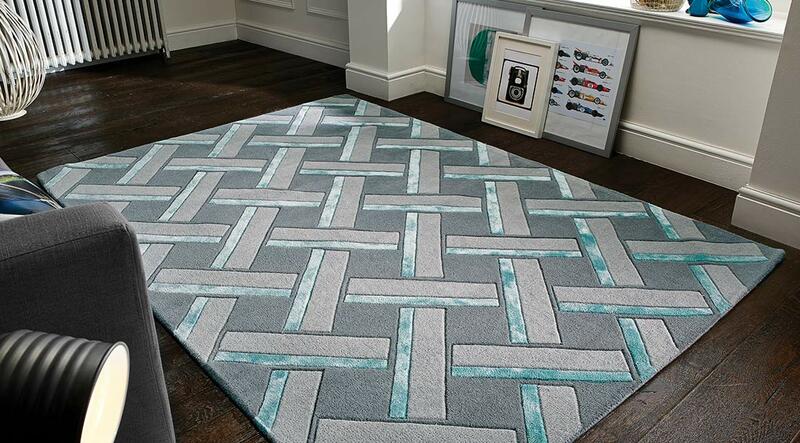 For subtler geometric patterns, our Verge collection has graduated tones and shades to create a 3D geometric effect. This collection is a great way to add pattern to a room without overwhelming existing features and schemes you might already have. A monochrome colour pallet is bang on trend this season. Our Moorish Morocco rug is a good way to tap into the monochromatic mood currently colliding with geometrics in interiors. 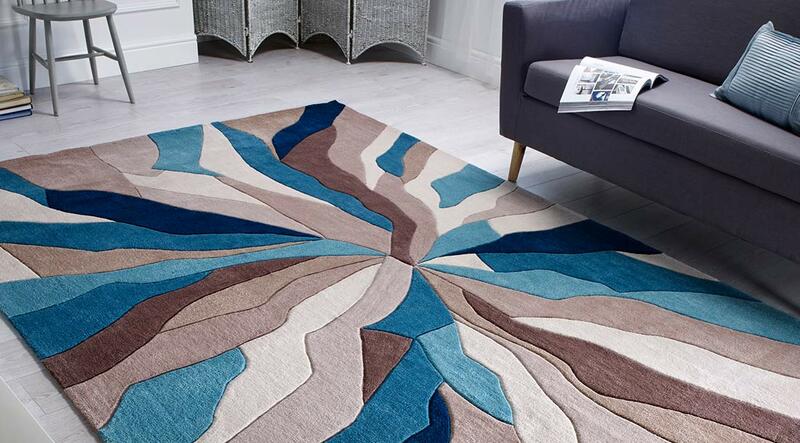 Creating an elegant style with a 3D multi-layered effect, this rug acts as the perfect backdrop for setting off pops of colours or complementing a neutral scheme. 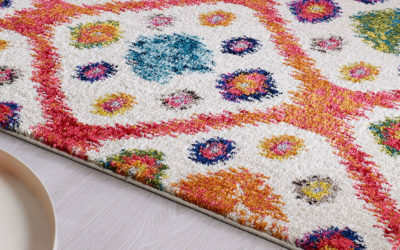 If you want to make more of a powerful statement, you could add some drama to your room with the intense colour of the Infinite rug collection. 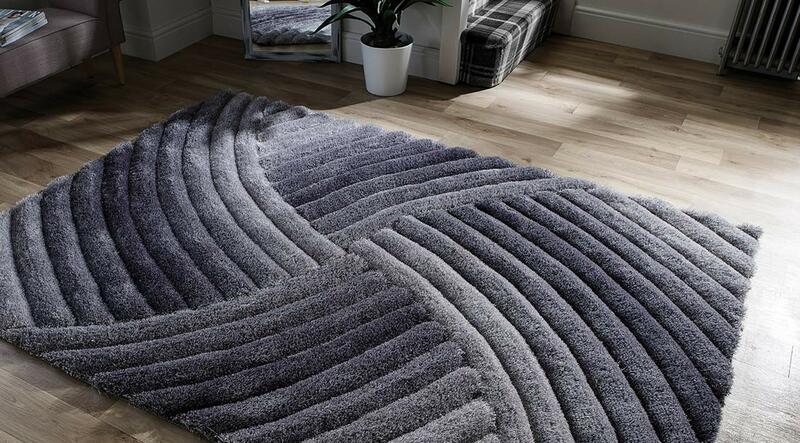 With striking designs, this range will instantly add visual interest and play a leading role in your interior scheme. For upcoming colour trends, visit our latest blog for inspiration or explore more of our collection here.